In all times, emerging or rebel artists have been looking for places to meet with audiences different from the usual channels of commerce. 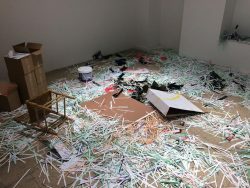 From their protesting beginnings to their current position in a globalized and hyperconnected scene, independent art spaces have evolved and form a thousand and one facets of the “off” world of art in the making. The Alternative Space is a new tool to discover art. 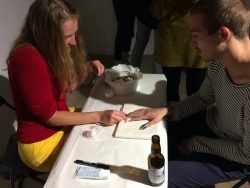 Although they are difficult to characterize, two constants generally bring them together: they do not pursue lucrative goals, they are often directed by artists interested in curatorial questions. Exhibition Katrīna Čemme & Ieva Putniņa – Oda X. In the basement of a building, LOW gallery is founded in 2017. An artist-run space is a place of spontaneous ideas and manifestations of alive artistic process. The gallery fosuses on young talents and artist collaborations. It is an alternative place, bursting with energy and activity directed by the Latvian artist Maija Kurseva, known to be a rebellious child. 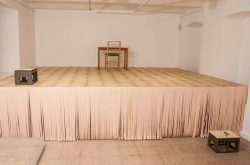 Low Gallery mixes the passionate passion, the discoveries of young artists, revolts against the established system, the resourcefulness, the fatigue to fight each project and the trick to always present interesting exhibitions. Low Gallery is a place of discovery, the exchanges are permanent. 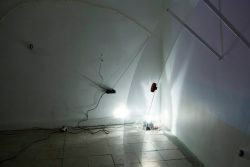 Maija Kurseva decided to create alternative contemporary art events, performances, installations. 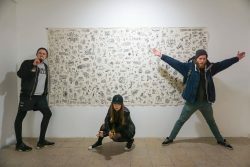 Low Gallery is a label that aims to promote young artists. Maija Kurseva is a teacher. 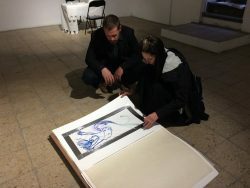 Wishing to find a space in which her students can exhibit their work as the last exhibition gathering Ieva Filatova Marta Kalnina and Varbut Varetu. Managed by and for artists, the space alternates between solo exhibitions and groups, where experienced and less well-known artists meet. In addition to the gallery, Maija Kurseva presents the work of Latvian artists at Popper Publishing, also in Riga.